Did you know that the famous Venus de Milo i.e. 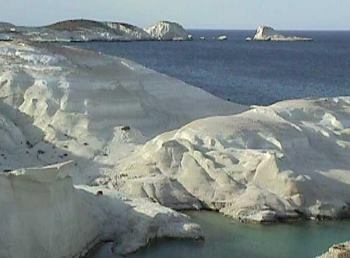 Venus of Milos is the most famous export from this rugged and beautiful island? 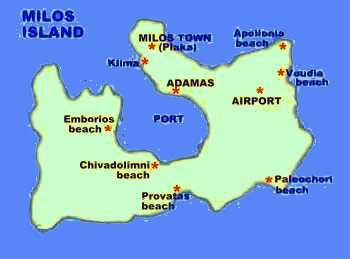 Milos, like Folegandros, is overlooked by many Cycladean travelers but now that it is a little over three hours from Piraeus by Hydrofoil Milos is in the ascendancy. Excellent sandy beaches, hot springs, some incredible rock formations,a very attractive main town set in the hills and yet to surrender to tourism. Milos is a wonderful choice for those looking for a more authentic Greek Island. Milos island offers diversity, traditional architecture and surprises - Milos is definitely worth a visit!